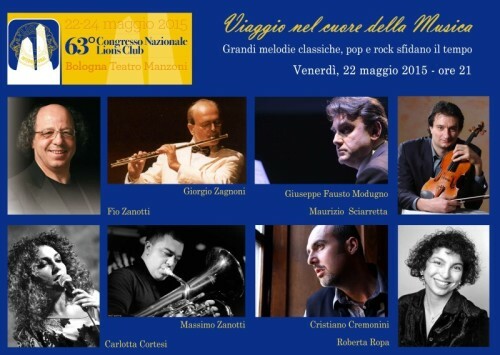 Tenor Cristiano Cremonini at the Teatro Manzoni with M° Zanotti, M° Zagnoni, M° Modugno and M° Sciarretta. 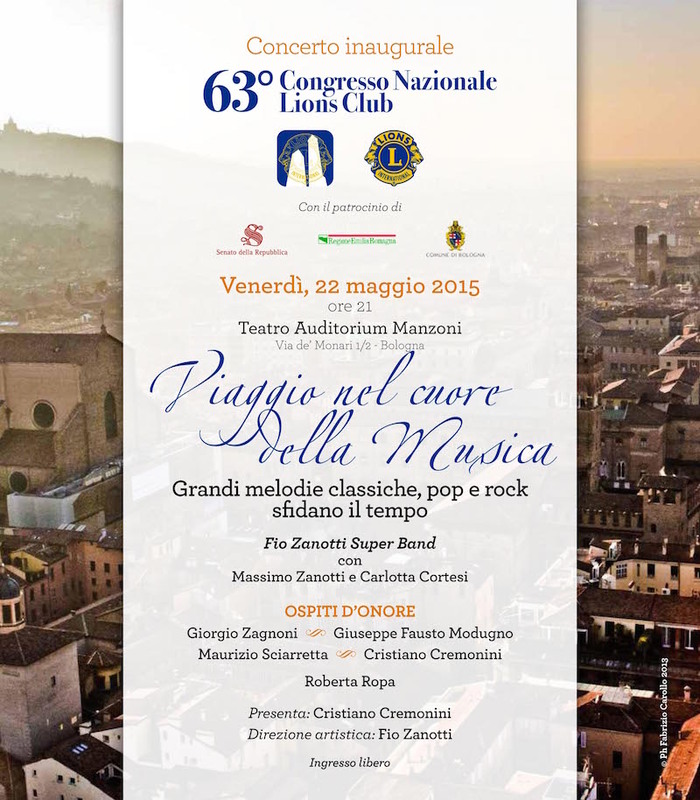 “Tenor Cristiano Cremonini is one of the guests of honour of the inaugural concert of the “63rd Lions Club National Convention” which will take place on Friday 22nd May 2015 at 9 p.m. at the Teatro Manzoni in Bologna”. Bologna is the 2015 Italian capital of Lionism, the world’s largest humanitarian organization, which is preparing to celebrate the centenary of its foundation and whose motto has always been “We serve”. 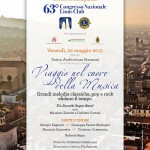 In order to celebrate the inauguration of the 63rd Lions Club National Convention the local organizing committee has gathered some of the most important music artists from Bologna. 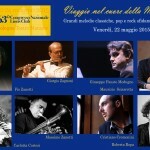 They will go onstage on Friday 22nd May at 9 p.m. at the Teatro Auditorium Manzoni (via de’ Molinari, 1/2) to perform the concert called “Journey to the heart of music – Great classical, pop and rock tunes standing the test of time”. The event is supported by the Republic Senate, the Emilia Romagna Region and the Municipality of Bologna: famous Sanremo song contest director/composer M° Fio Zanotti, his son Massimo and singer Carlotta Cortesi will take part in the show also featuring important guests like flutist Giorgio Zagnoni, piano player Fausto Modugno, violinist Maurizio Sciarretta (accompanied on the piano by Ms Roberta Ropa) and tenor Cristiano Cremonini. The well-structured music program, conceived to create an across-the-board and modern show meeting the taste of a miscellaneous audience, pays tribute to well-known composers like Paganini, Chopin, Ravel as well as artists like the Beatles, the great Ennio Morricone, Adriano Celentano and the unforgettable Lucio Dalla. Host: Cristiano Cremonini.